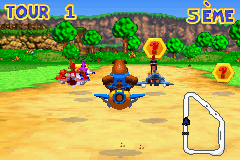 OverviewBanjo-Pilot is a simplistic biplane racer for the Game Boy Advance, featuring mascots from the Banjo-Kazooie franchise. 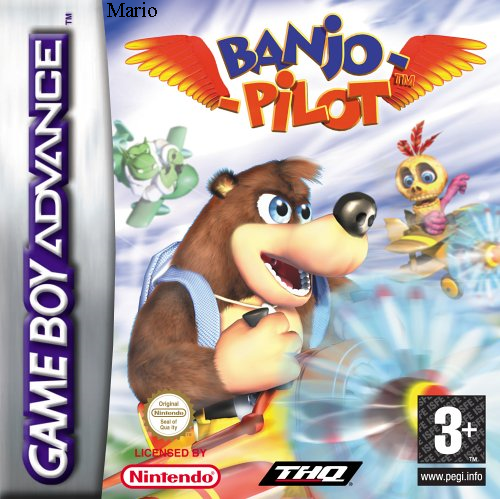 Banjo Pilot is a plane racing game about the characters from the Banjo-Kazooie franchise. However, it was never released. It started out as a game about Diddy Kong called "Diddy Kong Pilot" and played similar to the Diddy Kong Racing plane races. 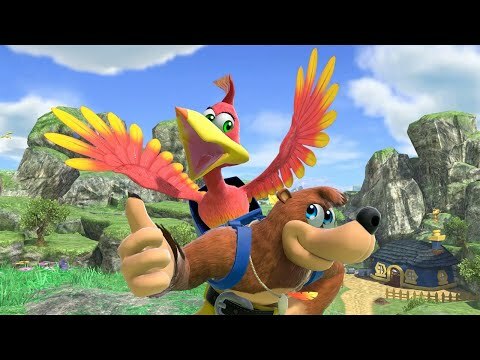 It changed in the middle of development to a Banjo-Kazooie game because Microsoft bought Rare and therefore, they couldn't use the Donkey Kong cast anymore. I find this game as an improvement over the other 2 earlier betas I played. The first I played was Diddy Kong Pilot. A majority of it was a broken and glitchy mess that crashed constantly. The next beta was one of the first iterations of Banjo-Pilot itself, which too, had it's flaws, like no music AT ALL on the race stages. It was quite plain, but with a completely different opening. The races seemed impossible to win because all the CPUs seemed so much faster and there were no power ups. Also on a side note, pressing the multiplayer button would crash the game with a bunch of loud glitchy noises. This version bumped up the quality with music, better racing environments, and doesn't crash when pressing multiplayer, perhaps implying it works, as it asks you to connect a link cable. The graphics are nice and it plays like you'd expect. The controls are nice and snappy and it seems like it could have really been released (It's a real shame it wasn't). However if it is possible to play this on actual hardware, I would recommend it. Now you can add videos, screenshots, or other images (cover scans, disc scans, etc.) for Banjo Pilot (E)(RisingCaravan) to Emuparadise. Do it now! If you haven't noticed yet, we have a retro game of the day feature (top-right of the screen) wherein we feature a new retro title every single day! Now, you can vote for your favorite games and allow them to have their moment of glory. 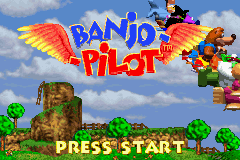 Click on the button below to nominate Banjo Pilot (E)(RisingCaravan) for Retro Game of the Day. You have the option of playing Banjo Pilot (E)(RisingCaravan) in your browser, right here at EmuParadise! No need for any software, no installations required, all you need is a fast enough PC and a browser with Flash support. This is great if you're on a PC with restrictions on software installations or want to secretly play at work.